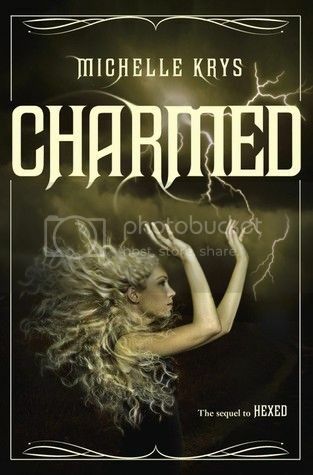 Former cheerleader Indigo Blackwood is still exploring her newly awakened supernatural powers after an epic battle over a magic Witch's Bible in her family's care has left her mother dead and Indie in the care of her reformed party-animal aunt. After getting caught up in an ancient witch and sorcerer rivalry, Indigo's childhood friend Paige is banished to a hellscape alternate dimension of Los Angeles called Los Demonios. Paige's family has had their memories erased and are unconcerned about their missing daughter, while Indie's aunt Penny and boyfriend Bishop are convinced that post-apocolyptic Los Demonios is far too dangerous for them to attempt a rescue. Forced to carry out her rescue mission in secret, Indigo experiences a brief flirtation with warlock Cruz that makes her question her relationship with Bishop and uncovers a deadly sorcerer plot that threatens teens kidnapped from Los Angeles. Indigo must also grapple with some shocking secrets about her supernatural heritage. Krys' sequel to Hexed wraps up everything fairly neatly, while still laying the groundwork for future novels in the series with hints of a school for witchcraft and wizardry in New York.